The factors that contribute to the abnormal knee kinematics after anterior cruciate ligament (ACL) injury and ACL reconstruction remain unclear. Bone shape has been implicated in the development of hip and knee osteoarthritis, although there is little knowledge about the effects of bone shape on knee kinematics after ACL injury and after ACL reconstruction. (1) What is the relationship between bony morphology with alterations in knee kinematics after ACL injury? 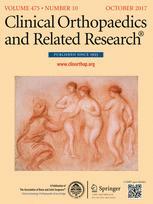 (2) Are baseline bone shape features related to abnormal knee kinematics at 12 months after ACL reconstruction? Thirty-eight patients (29 ± 8 years, 21 men) were prospectively followed after acute ACL injury and before ligamentous reconstruction. Patients were excluded if there was a history of prior knee ligamentous injury, a history of inflammatory arthritis, associated meniscal tears that would require repair, or any prior knee surgery on either the injured or contralateral side. In total, 54 patients were recruited with 42 (78%) patients completing 1-year followup and four patients excluded as a result of incomplete or unusable imaging data. MR images were obtained for the bilateral knees at two time points 1 year apart for both the injured (after injury but before reconstruction and 1 year after reconstruction) and contralateral uninjured knees. Kinematic MRI was performed with the knee loaded with 25% of total body weight, and static images were obtained in full extension and in 30° of flexion. The side-to-side difference (SSD) between tibial position in the extended and flexed positions was determined for each patient. Twenty shape features, referred to as modes, for the tibia and femur each were extracted independently from presurgery scans with the principal component analysis-based statistical shape modeling algorithm. Spearman rank correlations were used to evaluate the relationship between the SSD in tibial position and bone shape features with significance defined as p < 0.05. 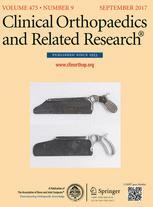 Each of the shape features (referred to as the bone and mode number such as Femur 18 for the 18th unique femoral bone shape) associated with differences in tibial position was then investigated by modeling the mean shape ± 3 SDs. Two of the 20 specific femur bone shape features (Femur 10, Femur 18) and two of the 20 specific tibial bone shape features (Tibia 19, Tibia 20) were associated with an increasingly anterior SSD in the tibial position for the patients with ACL injury before surgical treatment. The shape features described by these modes include the superoinferior height of the medial femoral condyle (Femur 18; ρ = 0.33, p = 0.040); the length of the anterior aspect of the lateral tibial plateau (Tibia 20; ρ = −0.35, p = 0.034); the sphericity of the medial femoral condyle (Femur 10; ρ = −0.52, p < 0.001); and tibial slope (Tibia 19; ρ = 0.34; p = 0.036). 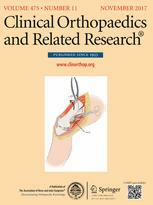 One year after surgical treatment, there were two of 20 femoral shape features that were associated with SSD in the tibial position in extension (Femur 10, Femur 18), one of 20 femoral shape features associated with SSD in the tibial position in flexion (Femur 10), and three of 20 tibial shape features associated with SSD in the tibial position in flexion (Tibia 2, Tibia 4, Tibia 19). The shape features described by these modes include the sphericity of the medial femoral condyle (Femur 10; ρ = −0.38, p = 0.020); the superoinferior height of the medial femoral condyle (Femur 18; ρ = 0.34, p = 0.035); the height of the medial tibial plateau (Tibia 2; ρ = −0.32, p = 0.048); the AP length of the lateral tibial plateau (Tibia 4; ρ = −0.37, p = 0.021); and tibial slope (Tibia 19; ρ = 0.34, p = 0.038). We have observed multiple bone shape features in the tibia and the femur that may be associated with abnormal knee kinematics after ACL injury and ACL reconstruction. 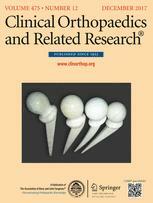 Future directions of research will include the influence of bony morphology on clinical symptoms of instability in patients with and without ACL reconstruction and the long-term evaluation of these shape factors to better determine specific contributions to posttraumatic arthritis and graft failure.